Our mayor is a great actor, but I’m the acting mayor! Last time I served in this capacity our mayor, Anthony Housefather was elected to Parliament and I suddenly found myself serving as the actual Mayor of the City for two months (November and December 2015). This time around, while I may be the acting mayor I can assure you that our current mayor, Mitchell Brownstein, is the real actor. Founder and executive producer of the CSL Dramatic Society, Brownstein has performed in nearly every production and is currently starring in the Little Shop of Horrors, on stage now in the CSL Harold Greenspon Auditorium (through June 25). It’s a privilege to serve my community and to always be ready, just in case. At our last public meeting we bid farewell to our good friend and consummate mayor, Anthony Housefather. Last night, it was a distinct honour for me to preside over the City Council meeting in my capacity as Acting Mayor of the City of Cote Saint-Luc. It was truly an honour as I consider my service on council to be a privilege and last night was one of distinction in that it is exactly 25 years ago since I was first elected to this venerable body, together with my colleagues Councillors Mitchell Brownstein, Ruth Kovac and Dida Berku. I congratulate them for this important milestone in our political lives, as well as to Councillor Allan J. Levine for his remarkable 25 plus years on council since his first election in 1986. As for Councillors Steven Erdelyi, Mike Cohen and Sam Goldbloom, our youngsters on council, they have devoted the last 10 years to the work of the council, and together we have all worked collaboratively and respectfully, for which I am very grateful. We have a dedicated and talented group of councillors in CSL, along with a dynamic and creative administration led by Tanya Abramovitch, Nadia Di Furia and Jonathan Shecter, all of whom are focused on delivering quality services and programs to our residents. Together, we will work hard to ensure a smooth period of transition, maintaining a stable and responsible local government here in the City of CSL. Soon we will begin the process of electing a new mayor to fill the vacancy. Given that it was my turn to be ready to step up if the actual mayor could not fulfill his role for whatever reason, I will follow in Anthony’s very large shoes and I will indeed step up to serve as the Accidental Mayor. It’s always an honour and somewhat exciting when my turn comes around for duty as Acting Mayor. Last week City Council voted me in as the next Pro-Mayor, or interim, for the next three months. The timing of this resolution is quite important given that the federal election is coming up in two weeks and that our very own mayor is a major contender for the next Member of Parliament for Mount Royal. So despite my bloggings about this appointment when it last came up two years ago when I wrote: “Rest assured, dear citizens. As ready as I am to assume the chair, albeit temporarily, of His Worship the Mayor, the only way this will happen is if an early, freak nor’easter grounds Anthony’s next flight overnight in NYC!”, this time might very well be the Real Deal. While I am always pleased to serve the public as Councillor of District 6 I will be ready to do what is necessary for our city to ensure that the Office of Mayor is functioning as always, if need be. Normally I’d get quite excited. This could be a big to do. Think again. We have what must be the healthiest sitting mayor in all of Canada. 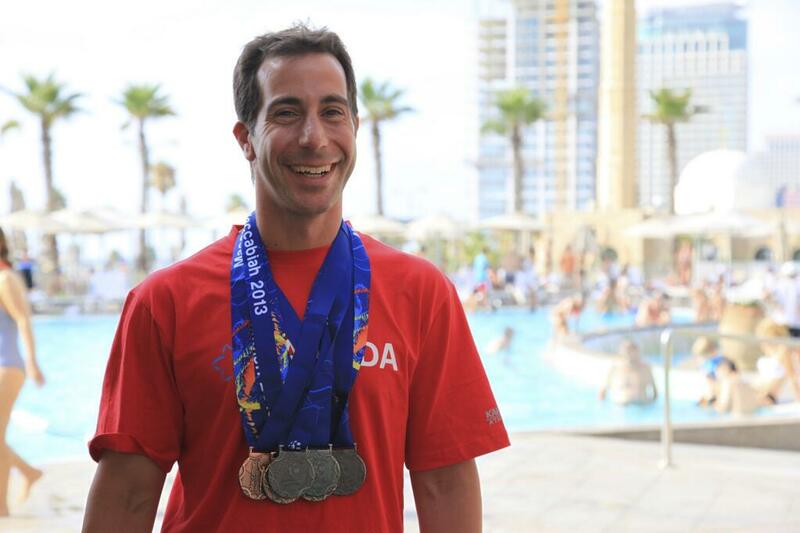 Mayor Anthony Housefather is an athlete that competes on the world stage. He swims and otherwise works out eight days a week. Sharp, witty and wise beyond his years he can take on the best of them, in the debating arena or the swimming pool, the tennis court or the jogging track. So rest assured, dear citizens. As ready as I am to assume the chair, albeit temporarily, of His Worship the Mayor, the only way this will happen is if an early, freak nor’easter grounds his next flight overnight in NYC! In the meantime, I’ll be dutifully conducting my responsibilities as Councillor of District 6. 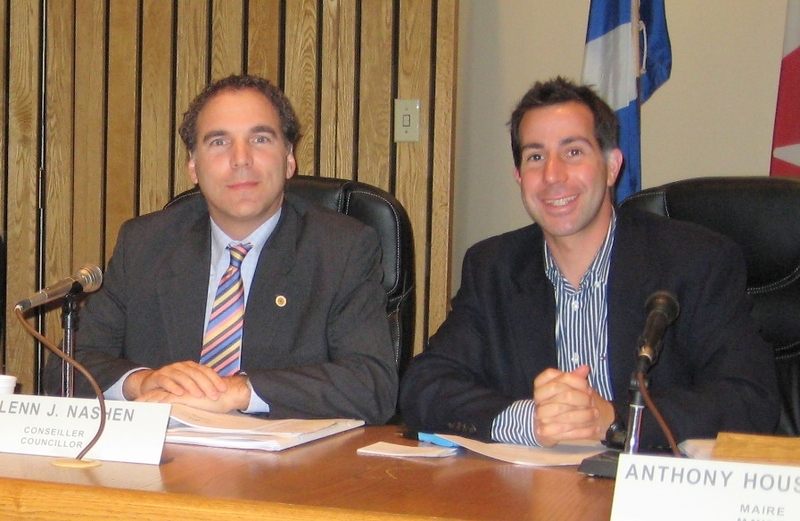 Councillor Glenn J. Nashen was named Acting Mayor of the City of Côte Saint-Luc, effective October 1, 2011 until December 31, 2011. Nashen may exercise the powers of the Mayor when the Mayor is absent or unable to perform the duties of his office.